Before you can help Tora finish his artificial blade project, you'll need to get Bion Connectors and a Perfect Range Sensor. Early in your adventure, you'll make a new friend in Tora. 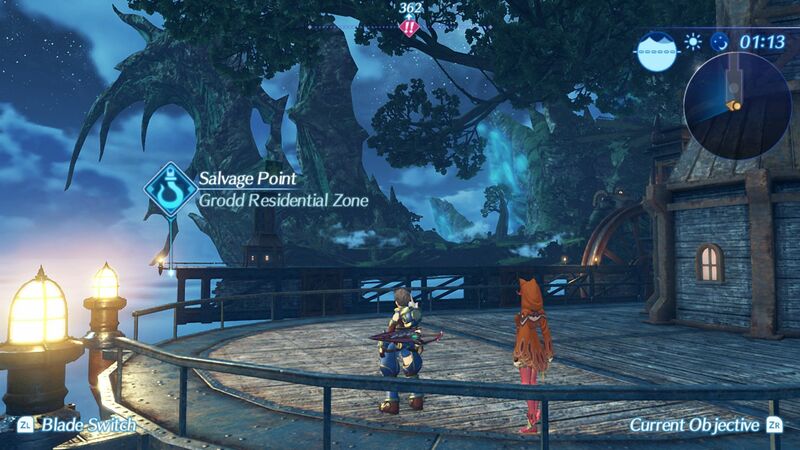 Tora isn't a Driver and has even tried to bond with a Core Crystal (with very poor results), but Tora has found another way to be of use in combat: An artificial Blade named Poppi. Before you can get this creation moving, though, you must grab few items. Tora needs a Perfect Range Sensor and three Bion Connectors to make Poppi whole. Once you reach the NPC that Tora directs you to, the Perfect Range Sensor is easily obtained by heading a little ways from town and defeating a few monsters. The Bion Connectors, on the other hand, can be earned a couple ways. I dove at both Salvage Points, but I earned all three Bion Connectors from the Salvage Point at Saets Chief's Residence. It's likely random so, if you don't have success at one, go to the other. Also, I used standard salvage gear on my dives. No need to spend the extra money on better gear because it defeats the purpose of saving money by salvaging. 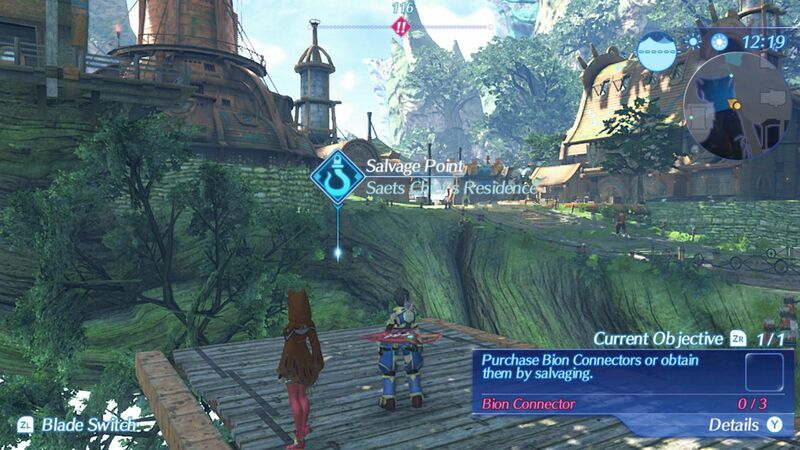 Because this is so soon into Xenoblade Chronicles, you likely won't be able to afford to purchase the fairly expensive Bion Connectors at 4,000 credits apiece from the nearest vendor. There's a side-quest you may have come across that also demands a lot of money as well, so this option will be the least desirable. Going with the Salvage option prevents you from wasting time grinding for credits as well.